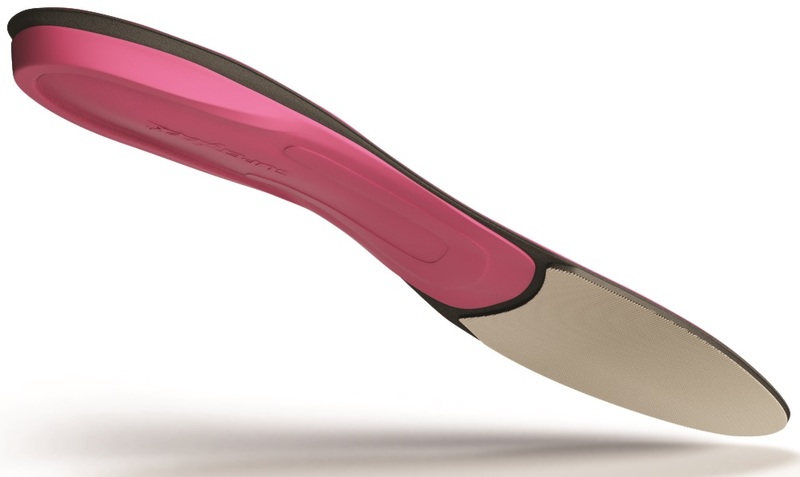 The Hot Pink insoles are Superfeet's women's specific model. They offer dual layers to provide the most warmth touring. Made with Outlast top sheet dual thermal foam, the insoles help keep your heel in place while providing arch support for medium arches. They also add lots of insulation between your foot and the snow. Washable with soap, water, and brush. 60 day guarantee on the fit. Heel cup slightly narrower and taller.